In order for women with disabilities to be equal citizens we have a right to be free from violence, to have the respect of people with whom we interact, to have meaningful employment and training and to have access to the community and to the services we need. Visit a Member of Parliament (MP) in person:Introduce who you are. Let your MP know that you are a voter, and will be voting in this state election. Talk about why an issue is important to you. It is powerful to tell your story. WDV has created a template letter regarding the prevention of violence against women you can download, fill out and send to your local member. Women with disabilities are twice as likely to experience violence as women and girls without disabilities. Gender-based and disability-based discrimination increase the risk of violence for women and girls with disabilities. We are more likely to experience violence than women without disabilities and men with disability. The most prevalent form of violence experienced by Victorian women is family violence. Violence can include impairment related violence and unethical practices in care service settings. Action: I am asking that you will take action to ensure that all political parties support the implementation of the Family Violence Royal Commission (FVRC) recommendations. the continuation of mental health services in Victoria. A significant number of Victorians experiencing psycho-social disability or will not qualify for the NDIS and will be left without appropriate services under the proposed reforms. Training for health and allied health services to understand the particular needs of women with disabilities. WDV has created a template letter regarding access to inclusive healthcare you can download, fill out and send to your local member. Women with disabilities experience high levels of disadvantage in all areas of our lives. Disadvantage affects our mental and physical health, causing greater unmet health needs than women without a disability. We are often excluded from decisions that affect our health care and treatment. Action: I am asking that you will take action to increase funding for community mental health services in Victoria and funding of training for health services to understand the needs of women with disabilities. As the NDIS rolls out, it’s important that there are no gaps for people with disabilities, and especially women, who face multiple layers of disadvantage when systems fail. This is a critical time to make sure that the voices of people with disability are heard loud and clear. continued Victorian government support for disability advocacy services more broadly. Many Victorians with a disability do not qualify for NDIS support. They are even more in need of advocacy to access mainstream services such as health, education and housing. Furthermore, participants applying for the NDIS may require the support and advice of advocates to ensure they receive the support they need from the NDIS. continuation of disability services in Victoria for people with disability will not qualify for the NDIS and will be left without appropriate services under the proposed reforms. WDV has created a template letter regarding the the National Disability Insurance Scheme you can download, fill out and send to your local member. About 10% of people with disability nationally will get support through the NDIS. It is important that there are no gaps for people with disabilities, and especially women, who face multiple layers of disadvantage. Those applying for the NDIS may need the support and advice of disability advocates – and to have their awareness of the NDIS raised. Many Victorians will need support to use mainstream services in the community. Disability advocacy services must continue to be funded to help people with disability access mainstream services. the introduction of minimum standards of accessible housing for private residences under the Australian Building Code Board. the inclusion of accessible public and social housing in all new property developments. public transport that meets the Disability Standards for Accessible Public Transport (2002), in particular, rural public transport, to reduce the economic disadvantage and social isolation of people with a disability. a low cost internet access program for low-income people with a disability and capacity building support for people with disability who low or no internet literacy. WDV has created a template letter regarding access to mainstream services you can download, fill out and send to your local member. For women with disabilities, access to adequate housing and public transport are vital for ensuring safety and access to services. As women with disabilities, we are more likely to live in rental accommodation and unaffordable housing. Mainstream services like hospitals, public transport and public housing are often not accessible to us. This is not acceptable. Action: I am asking that you will take action by providing public transport that meets the Disability Standards for Accessible Public Transport and introduce minimum standards of accessible housing for private residences under the Australian Building Code Board. the Victorian Public Service targets for employment of people with disability includes targets for the employment of particularly disadvantaged people with a disability, for example, women. WDV has created a template letter regarding leadership opportunities for women with disabilities you can download, fill out and send to your local member. Nearly 1 in 5 Victorian women has a disability. We encounter discrimination on many levels; this restricts our opportunities for equal participation in economic, social, educational and political life. As women with disabilities, we also experience higher levels of disadvantage than men with disabilities do when it comes to employment and income levels. However, what we can do far outweighs what we cannot. We need better services and more opportunities so that we can engage in public life. Action: implement Victorian Public Service (VPS) targets for employment of marginalised people with disability, including women; expand the Victorian Government’s purchasing program (social procurement), with a focus on women, and provide free TAFE places for women with disabilities. Victorian Council of Social Services (VCOSS)’s Empowered Lives campaign. We are supporting the Victorian Council of Social Services (VCOSS)’s Empowered Lives campaign. Empowered Lives is a report, outlining the key issues facing Victorians with disability. It sets out achievable actions the Government can take to provide more opportunities for people with disability. It has been developed by people with disability, advocates and organisations across the Victorian disability community. You can show your support for the Empowered Lives campaign. 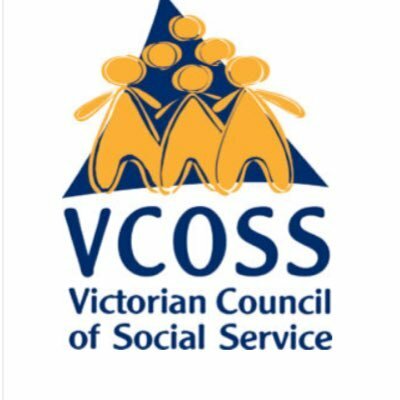 The Victorian Council of Social Service has created a social policy resource called the VCOSS Policy Tracker, which tracks the pledges made by the ALP, Labour and The Greens. This is for your information only as we believe knowledge is power and would like our members to feel empowered when they vote in the upcoming election. Gender Equity Victoria (GEN VIC) is the Victorian peak body for gender equity, women’s health and the prevention of violence against women. The priority areas for Gen Vic are to advance gender equality, promote women’s sexual and reproductive health, prevent violence against women, and support the development of a sustainable peak body. You can download their election poster and share a photo on social media. Alternatively you can find ways to take action here. The Victorian Electoral Commission has developed a video guide which explains how to enrol, vote and stand as a candidate in an election.This video includes Auslan, a voiceover using plain English and captions. Information about enrolling and voting is available in plain English, Easy English, audio, video and Auslan. You can also ask for an enrolment form. For people who experience communication difficulties, the app allows people to save voting related phrases that they can play back to a polling officer on the day. People who are blind or have low vision have the option to vote by telephone.